With just minutes a day, become a SitNGo Wizard! 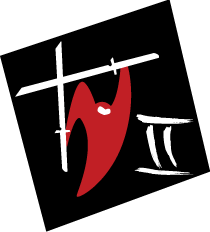 Suitable for any player regardless of ability. 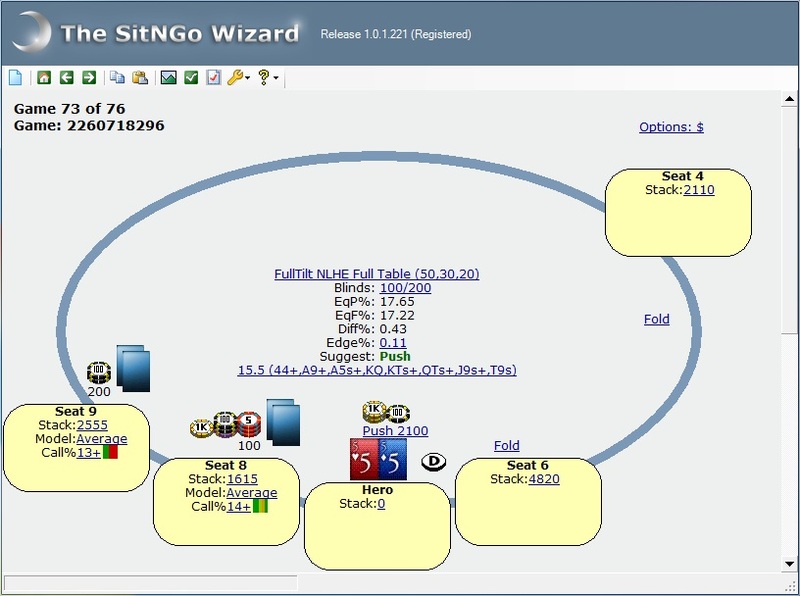 SitNGo Wizard is a must have for all players serious about their poker game. 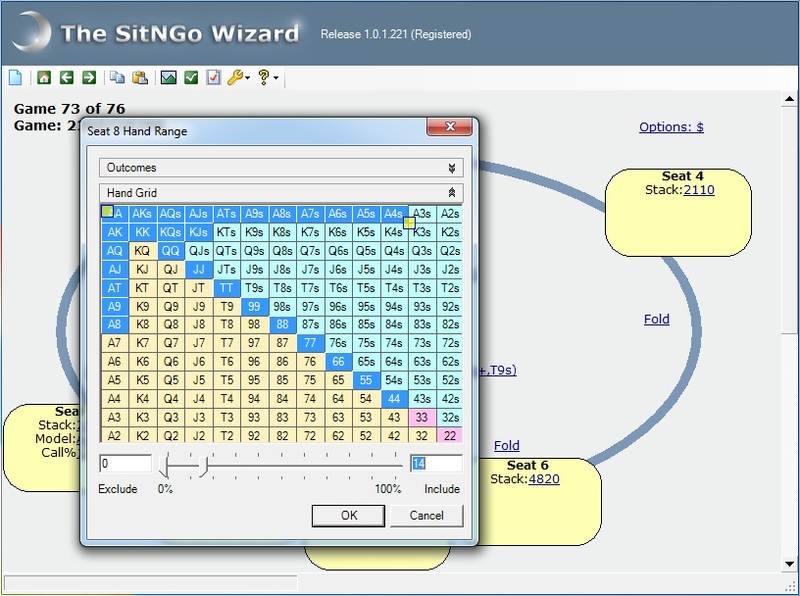 Whether you are new to SitNGo's or an experienced player, SitNGo Wizard 2 will help you analyze and transform your game, finding and eliminating costly mistakes. 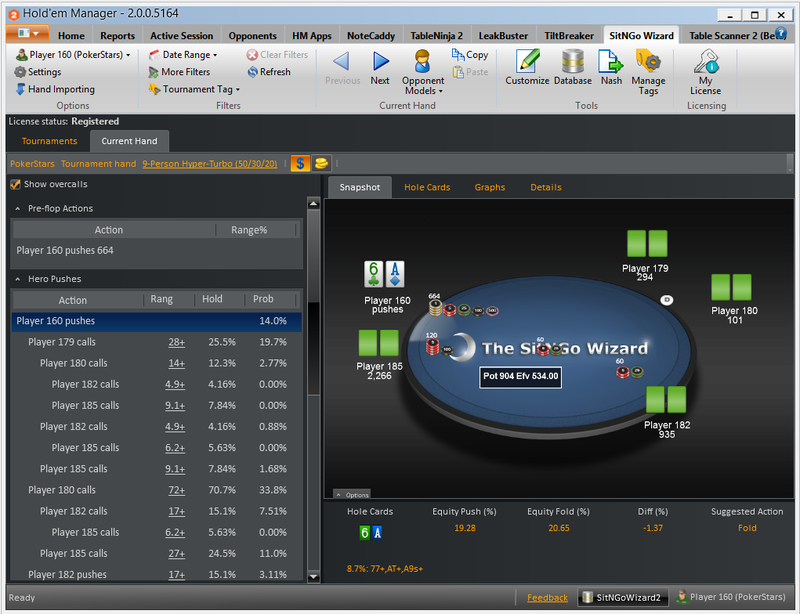 Winning SitNGo players know that the best strategy for beating SitNGo’s is to play tight during the early phase, then play aggressively in the late phase where a majority of chips are won. 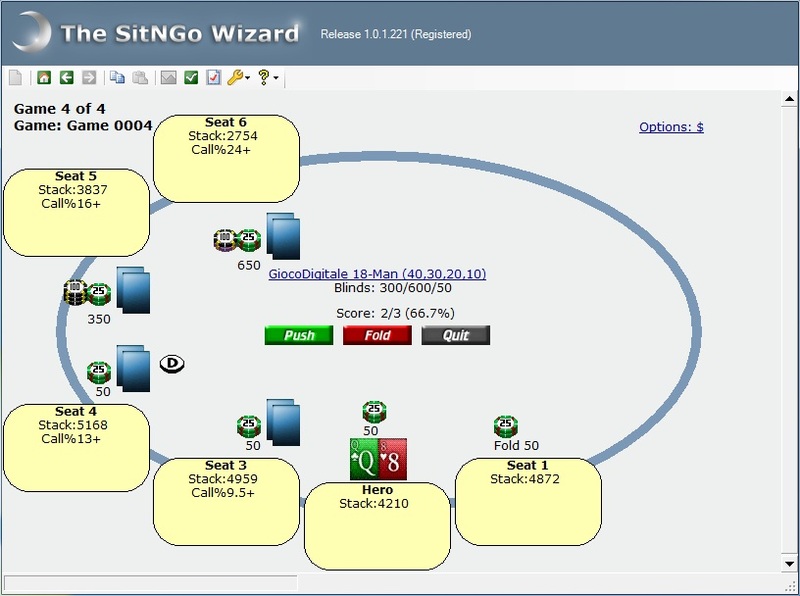 Learning how to play well in the last phase is the single most important skill required win SitNGo tournaments – SitNGo Wizard will teach you how to play a near perfect late game strategy. 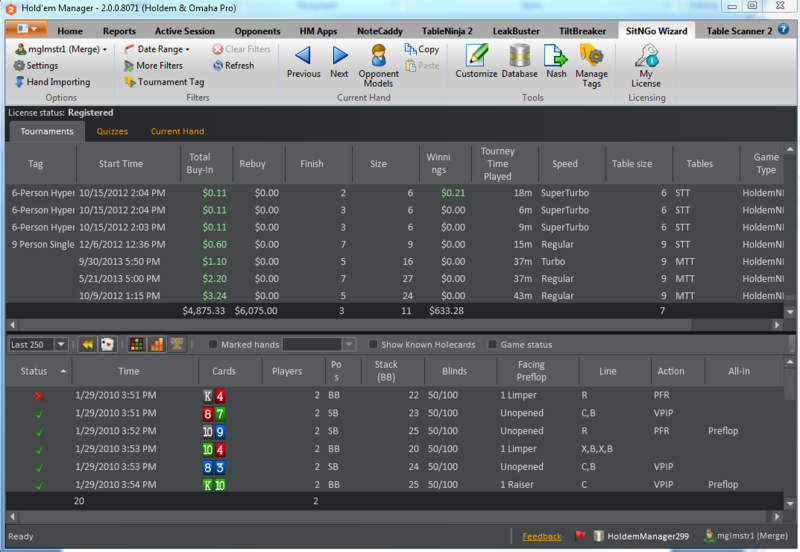 Compares your equity when you push to your equity when you fold and tells you which play is more profitable. 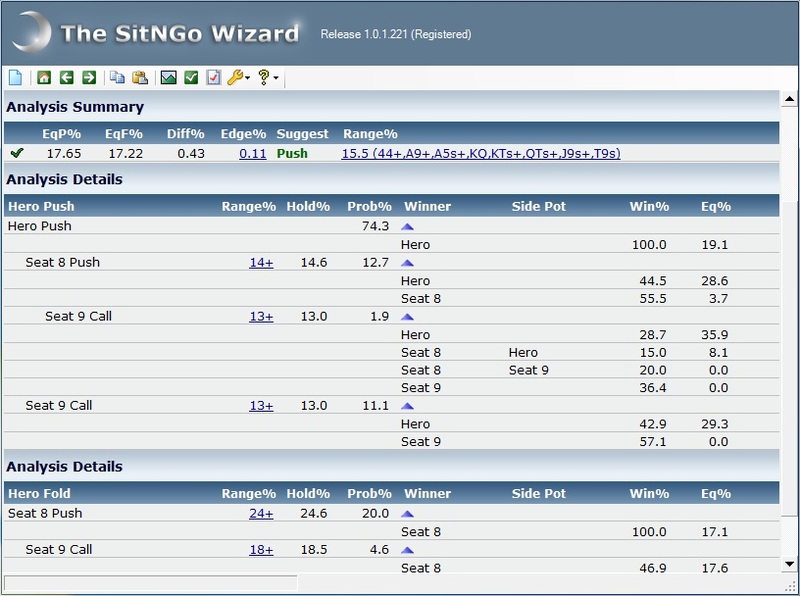 The new quiz mode lets you tell SitNGo Wizard 2 what range of hands you would push with, then SitNGo Wizard rates your play. 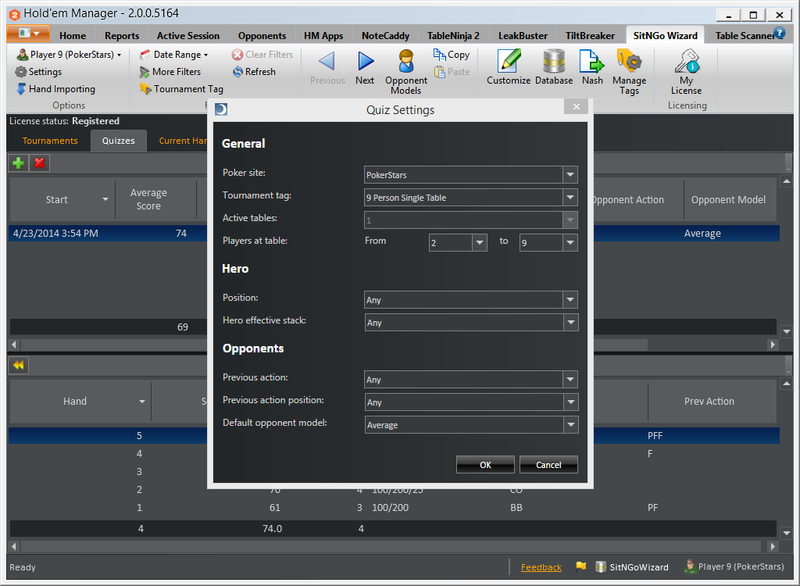 Quickly spot problem hands using the SitNGo Wizard 2 Tournament View. 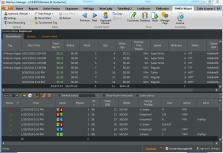 Analysis Details Each analysis contains a detail table that enumerates every possible outcome and the likelihood of it happening. 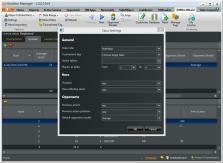 Analysis Graph Quickly visualize the effects of changing game parameters on your push or call range. 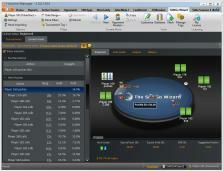 Exclude top hands You can exclude a top percentage of hands from any opponent hand ranges. 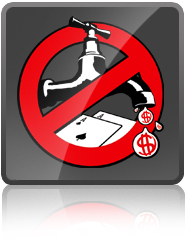 This is most useful when an opponent limps and you suspect he would not limp with his very best hands. 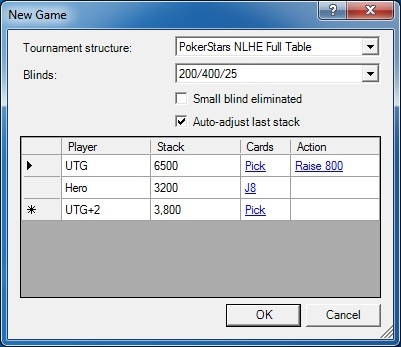 Modify Any Game Parameter Allows you to change any game parameter, including; your hole cards, the hero, any player's stack size, size of the blinds, any previous player action, andopponent's open or call range. 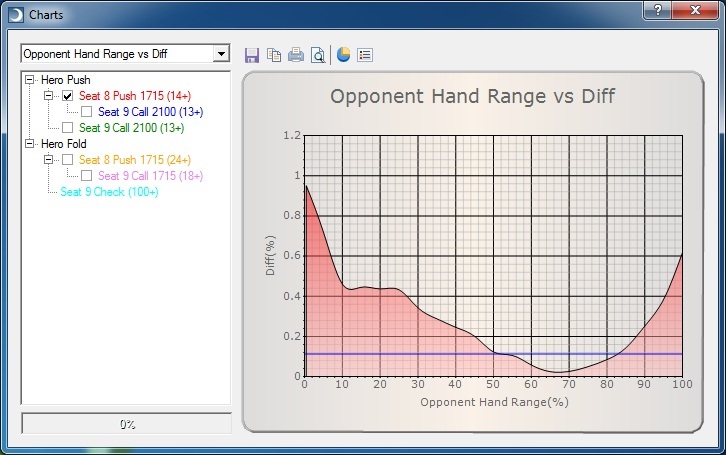 Opponent modeling The SitNGo Wizard uses opponent models to estimate the range of hands an opponent will play. Quiz Mode The quiz mode generates random games and asks you to pick the correct play for each game.